I was nosing around YouTube tonight and came across some clips from the old CBS Late Movie, and talk about getting a rush of nostalgia. When I was a kid I used to watch the CBS Late Movie all the time — it’s probably part of the reason I was such a lousy student, I was constantly staying up too late to watch stuff like reruns of Kolchak: The Night Stalker and Hammer movies and Planet of the Apes (and even The New Avengers, if I remember right). The clip below not only includes the bumpers going to commercial and back to the movie (Helter Skelter, the 1976 TV adaptation of Vincent Bugliosi’s book, starring Steve Railsback as Charlie Manson) but lots of old commercials (check out Ike Eisenmann partaking of a little awesome videogame action). I love my satellite TV, but I miss those old days. 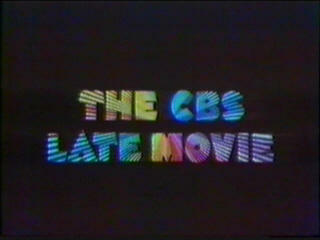 Got any memories of the CBS Late Movie? Feel free to share ’em in the comments.